Synopsis: It is 1943. Eleven-year-old Annabelle McBride lives on a farm in a small, western Pennsylvania town, with her parents, two brothers, grandparents and Aunt Lily. Annabelle leads a quiet, ordinary and carefree life, going to school everyday, doing her farm chores, supervising her younger brothers, and helping her mother cook meals in the kitchen. Then one fall morning a very mean-spirited girl named Betty Glengarry moves to Wolf Hollow and changes everything for Annabelle and the community. Betty is cruel and manipulative and easily spots the victims of her bullying through their weaknesses. For Annabelle, Betty threatens to harm her brothers if she doesn’t comply with her demands. Annabelle suffers many beatings on the path to school, until a quiet WW I veteran, Toby intervenes. Betty turns her vengeance on the kind-hearted recluse, and Toby becomes a target of her heartless and ruthless attacks. There are other victims too. As tensions mount, Annabelle’s goodness is her inner strength to do what is right. Lauren Wolk’s debut novel, Wolf Hollow, is gripping and haunting, heartbreaking and beautiful. The setting, the characters, the plot and the gorgeous imagery are so brilliantly intertwined that they create an extraordinary experience for readers. One that you will remember for a long time. You learn about Wolf Hollow and its history of capturing and killing wolves. You feel the silence as you walk the path with Annabelle and ponder its darkness. You experience an extended family living under one roof preparing meals together, canning peaches and baking fresh bread in the oven. And you see contradictions in people who are frightening and neighbors who spread gossip at lightening speed. The characters are multi-layered and complex. Annabelle is kind-hearted to her very core. She is resilient and courageous. I loved experiencing the story narrative through her innocent and wise character. She learns how to lie to protects others. Betty Glengarry is vicious and cruel. She knows how to use her charm to manipulate an entire community. Annabelle, who knows Betty’s contradictions, wants her to leave. I want her gone. Yet, as a reader I hope for her redemption and wonder about her vulnerabilities. What made her so ruthless that she could break a quail’s neck, throw a rock and blind another student, string wire across the road to hurt Annabelle’s brother, and falsely accuse Toby of throwing her in a well? Was she bullied herself? Even though she’s a bad apple, you worry for her safety. Toby is my favorite character. He’s a gentle man who goes to war, struggles with the atrocities he’s seen, becomes a recluse and wanders into Wolf Hollow. Toby is a quiet presence and his words are few. He lives in a smoke house and walks the hollows. People think he’s odd, but he is a rare soul who is decent to his very core. Wolk refrains from sharing all the detail about her characters leaving the reader to decide some things for themselves. The plot is riveting and full of tension. Her deliberate pacing keeps readers fully engaged and wondering what will happen next. Like Annabelle, I found myself contemplating different scenarios. It is a story that will haunt you because of its depth, contradictions and unspoken truths. When I completed the Wolf Hollow, I was convinced I had been there. It is a story that will stay with you because of the profoundly human characters and the untidy ending. This is an excellent discussion book for teachers to use with middle grade students. There are so many themes that can be explored. Seth Kastle is a former Army combat soldier who suffers from PTSD following two tours served in the Middle East. I first saw him interviewed about this important book on the NBC Nightly News. 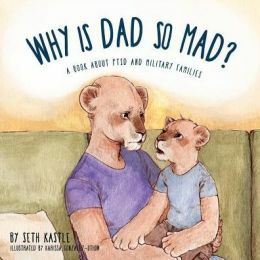 Kastle has written this heartfelt picture book for his two daughters and other military families to help them understand the changes that occur when military members return from war. The story narrative is told from the family’s point of view. The text is simple and straightforward, allowing for many questions and discussions between parent and child. The characters feature a family of lions, which is a gentle and less threatening way to portray a troubled family. Kastle’s book is a labor of love for his family and for service members who want to start a dialogue with their children. There are many changes for military members returning from war and adjustments for the entire family. 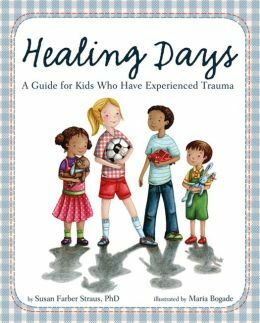 This book is a valuable resource that can encourage open and honest communications to help families get through some very tough times. Karissa Gonzales-Othon’s illustrations are simply rendered in ink and pastels with a lot of white space. They help the reader focus on the lion’s emotions (angry roar) and his interactions between the lioness and the cubs. Resources: Why is Dad So Mad is an excellent resource for families. First of all it helps children realize they aren’t the reason the parent is angry. The book helps children ask important questions and get answers. Dialogue between parent and child starts the healing process. Follow Seth Kastle at his website and on his Facebook page, Why is Dad So Angry, where there is a wealth of information for military families. Why I like this book: Laurie Halse Anderson’s heart-wrenching novel sensitively addresses the harsh reality of a family broken by war. Her plot is riveting and realistic. Her characters are well-developed with 17-year-old Hayley, an angry yet fragile teenager, who is dealing with very deep wounds — the death of her mother, abandonment by her father’s girlfriend, and parenting a father who suffers severe PTSD. She has watched her father go from the superhero soldier who made the world safe to the sobbing, raging and alcoholic father that she can’t depend upon. Hayley’s only school friend, Finn, brings some stability to her teenage life and the hope she can believe in someone. Finn is a quirky character that provides the welcomed comic relief to the story. The book is a timely page turner with an unexpected twist at the end. The Impossible Knife of Memory will resonate with young people, but especially those dealing with parents suffering with PTSD. 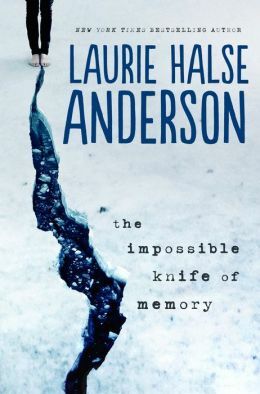 Visit Laurie Halse Anderson at her website. Patricia McCormick, who is known for taking on complex and tough subjects, has done it again with the story about the genocide that occurred in 1975, when the Khmer Rouge seized control of Cambodia and tortured and killed its own people. This extraordinary story about Arn Chorn-Pond, an 11-year-old boy who survived, is true. The author spent two years with Arn, retracing his life during the three years, eight months and twenty days reign of terror by the Khmer Rouge. This book is powerful, emotional, horrific, gruesome, and brutal. It is an important book for young people and adults to learn about this period of history. Yet, it is an inspirational story of survival, courage, hope and a testimony to human spirit. Arn is a care-free boy catching frogs with his best friend and selling ice cream with his brother. One day an army of soldiers dressed in black enter the village and force everyone to the countryside. His aunt, four sisters and a brother gather a few belongings and food, and join the throngs of people who are walking away from their homes. Arm works in the rice fields until, the Khmer Rouge separate him from his family and send him to another labor camp. He watches starving kids die in the rice fields, and he tells himself that he must never fall down. Arn finds every possible means to survive. When the soldiers ask if any of the kids can play an instrument, Arn volunteers without knowing a single note. The Khmer Rouge want to hear revolutionary songs and Arn becomes a very good musician. He does so to keep himself and other kids alive. He also learns to dance and entertain which gives him more freedom in the camp and access to more food, which he sneaks to kids. Arn is taken to the Mango Trees, where he sees the piles of earth and smells the stench of death. He knows these Killing Fields and the Khmer Rouge force him to do unthinkable things. There is so much death, starvation and brutality, that we see Arn transform over time into an emotionless and numb boy. As the Vietnamese approach, he is given a gun and used as a child soldier and spy. He quickly realizes that the Khmer Rouge is using the kids as bait in the jungles. He is always running, because if he falls down he knows he won’t get up. Why I like this book: Patricia McCormick chose to write the book in Arn’s natural speaking voice — broken English. The story is told in first person making it an even more powerful, convincing, and real. In Never Fall Down, McCormick gives Arn a voice to speak his truth and share the pain, which he found cathartic and part of his healing process. He tells his story so people will know first hand what happened. McCormick is the author of Purple Heart, a Publishers Weekly Best Book of 2009, and SOLD, a National Book Award finalist. Today Arn Chorn-Pond has dedicated his life to peace and humanitarian causes around the world. He founded the Children of War, an organization that aids children held hostage by war and violence. He is the founder of Cambodian Living Arts, a group that helps preserve the traditional arts of Cambodia by pairing young students with the few master musicians who survived the Khmer Rouge. He has received the Amnesty International Rights Award, the Reebok Human Rights Award, and the Spirit of Anne Frank Outstanding Citizen Award. He lives in Cambodia and spends part of his year speaking in the United States. Many soldiers returning from war have survived one, two, three or more deployments. They may have returned with serious physical injuries, traumatic brain injuries, loss of limbs, visual impairments and hearing loss. Those are the identifiable physical wounds. Then there are the invisible wounds that surface after soldiers return home. Loved ones notice changes in their behavior, paranoia, anger, guilt, depression, and flashbacks during sleep. Many struggle with survivor’s guilt. Others can’t find peace within because of the horrors they’ve seen and experienced. Some are homeless. I am talking about the veterans who return from war and struggle to adapt to everyday life. Since 2003, more than 40,000 cases of Post Traumatic Stress Syndrome (PTSD) have been diagnosed among veterans serving in Iraq and Afghanistan. PTSD has existed since the beginning of modern civilization. It was first identified during the Civil War. It has been called many names, soldier’s heart, combat stress, battle fatigue, and shell-shock. The U.S. Army has launched a campaign to reach soldiers at risk. If you click on the link, you will see on Suicide Prevention and another video, “Shoulder to Shoulder: Finding Strength and Hope Together,” designed to promote health, risk reduction, and suicide prevention. There also is a book available to soldiers, The Home Front, available through the Army Suicide Prevention Office. The National Veterans Wellness and Healing Center (NVWHC), nestled in the beautiful alpine setting of Angel Fire, NM, is a program that offered eight week-long intensive therapeutic programs in 2011 for both veterans suffering with PTSD and their spouses. There was no charge for the 298 people who participated. For some of the veterans attending (representing various wars), it was the first time they’ve spoken about what happened to them. And, it was first time spouses spoke. The retreats are built around traditional, alternative and Native American healing practices. Those who attended have kept in touch through NVWHC reunions. The program is accepting applications. In 2011, news journalist Lisa Ling featured the camp on her program, “Our America,” on the OWN network. Although the site has a wonderful video, I wanted you to catch a closer glimpse of what Lisa filmed during that week. Opening/Synopsis: “What’s your name boy? He stares into the mirrored sunglasses. Words don’t come out. I’ll tell you mine, then you tell me yours. What’s behind those mirrors? All he can see is himself. What’s inside the camouflage uniform? My name is Grant. See, it’s easy. Now tell me yours. He finds a voice. It comes out: James.” Abe in Arms is a gripping novel about a teen who has survived the war in Liberia, escaped the rebel army, is adopted by an American doctor and his loving family. Abe may have survived the war and started a new life, but his scars are so deep that his senior year begins to unravel as he deals with post traumatic stress disorder (PTSD). This is a story you will not easily forget, or want to forget. It evokes a powerful response within you. Abe is a high school senior on his ways to a Division 1 Track scholarship. He is an honor student, has a girlfriend and has developed a close relationship with his brother, Niko, and parents. Abe is at a track meet at the starting line with the other runners when he hears the gun “BANG.” Abe leaps forward, but is suddenly transported to another place and time where he hears the BANG of rebels guns shooting randomly at people in his village. He has collapsed at the starting line and is curled in a fetal position. His coach is shouting his name. Abe is rushed to the hospital. Over the following months, Abe suffers disabling flashbacks and seizures as he relives the events of his young life in war-torn Liberia, where he loses his mother and sister. At home, his brother Niko, observes his flashbacks at night and his explosive temper over silly things. At school he is zoning out in classes. He fights with another runner and knocks out his teeth. He distances himself from his girlfriend. His father, Dr George Elders, recognizes Abe is in trouble and has him work with a therapist who specializes in PTSD. Abe journeys into a dark world where he has suppressed his memories. He finds himself facing the demons of his past life as a boy soldier — something he wants to bury. This action-packed novel is full of suspense, twists and turns, surprises and hope. Why I like this book: Pegi Deitz Shea has written a powerful book for teens about young boys forced to become soldiers in war-torn countries like Africa. She isn’t afraid to take her readers to complicated and uncomfortable places. These boy soldiers suffer unimaginable violence and are made to do things by rebel armies that are horrific. They are robbed of their childhoods. How will those who survive, ever live normal lives? Abe in Arms is just one shocking story about a teen coming to grips with his past. Fortunately, Abe is grounded by the support and love of his family who long to see him heal. Click here on the Reach and Teach resource link for Abe in Arms. This site has information from Amnesty International, resources, lessons plans, ways to get involved and a very moving video about a boy soldier. Published reports estimate that there are approximately 250,000 children enslaved as soldiers around the world. Pegi Deitz Shea is an award-winning children’s author, who has brought the worlds of refugees, immigrants, child laborers and historical figures into the minds of readers of all ages through books that include The Whispering Cloth, Tangled Threads, Ten Mice for Tet, The Carpet Boy’s Gift, Patience Wright, and Noah Webster: Weaver of Words. Purple Heart is a fictionalized book written by Patricia McCormick for youth over 13 years of age. It is a gripping account about 18-year-old “boy soldiers” being sent to fight the war in Iraq. As McCormick commented, “It isn’t a pro-war book or an anti-war book.” “It’s my attempt to portray how three children — two 18-year-old Americans and a 10-year-old Iraqi boy — have been affected by the war.” McCormick has written a convincing account about how brutal life is in the war zone, for both soldiers and civilians. It is a heartbreaking story about how everyone suffers in war. Purple Heart is a well-researched novel. It was named by Publishers Weekly as one of the best books of 2009. This is a great discussion book for the classroom. Private Matt Duffy wakes up in an Army hospital with a doctor poking his feet with pins. He doesn’t understand why he’s there. He has difficulty moving and his speech is garbled. He is told he has suffered a traumatic brain injury (TBI). Another officer soon appears and presents him with a Purple Heart. But, Matt doesn’t know why, and he doesn’t want the medal. Matt wants to know what has happened to him. He’s instructed that his job is to recover from his battle wounds. In the following weeks, sleep brings Matt little peace. He is haunted by the sight of a little Iraqi boy standing at the end of an alley filled with debris. It’s always the same flashback of a strange series of events happening in slow motion. He sees a stray dog, hears the loud call to prayer by a muezzin, and sees an overturned car in the street. Suddenly there is a silent flash of light and the young boy is lifted off his feet into the air. There is a loud explosion next to Matt. Matt’s buddy Justin, visits frequently. Justin tells him what he remembers of the attack. Justin saved Matt’s life that day. Over time, Matt begins to remember more and feels Justin is holding back. He knows something went very wrong that day. They were in the wrong place. They hadn’t followed orders. Matt somehow feels responsible for the boy’s death, but he doesn’t know why. After lengthy rehabilitation and a criminal investigation into the death of a civilian, Matt returns to his squadron. He’s glad to be back. There is always the dust and sand to contend with and the searing heat. But, there is also the uncertainty of living on the edge. There is the possibility of an ambush around every corner, and Matt is fearful he won’t be able to pull the trigger when the time comes. The events of that day still live in him and he wonders if he’ll ever know the truth. McCormick isn’t afraid to tackle tough and complex issues. Visit McCormick’s website to view her other award-winning books, Sold, My Brother’s Keeper and Cut. Note: Although Matt doesn’t die in this story, other soldiers do. There are support organizations available for families who have lost loved ones to war, Tragedy Assistance for Survivors Program (TAPS). Military Families United honor the fallen, support those who fight, and serve military families. The U.S. Army has a program, Finding Strength and Hope Together, for soldiers/veterans at risk and dealing with PTSD. There is the National Veterans Wellness Center in Angel Fire, NM, that helps rehabilitate veterans with PTSD. And, there is a Veterans Crisis Line where veterans can call 24 hours a day for support.